A home remodeling project is generally prefaced with a good amount of planning. You do your research on various designs, get excited about the appliances or furniture you’re going to bring to the project, and choose materials that will transform your room or your entire home. But, what about the waste associated with a remodeling project? 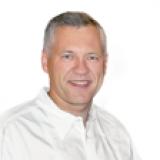 How can you save time managing the waste and spend more time actually tackling your project? Some DIY remodeling projects include purchasing heavy duty trash bags where a majority the refuse will go, either hauled to the street corner bit by bit, or into the back of a truck where it will be hauled off to the local landfill one load at a time. Unfortunately, this can be a huge waste of time. Furthermore, you won’t be able to fit large items or sharp items into those bags. The better choice is to rent a dumpster. 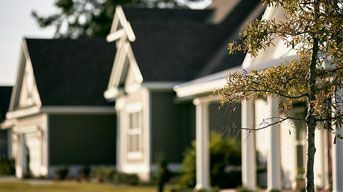 In many ways, a neighborhood is an extension of the home. It should serve as a safe haven where kids can roam, play and socialize with other kids in the area. Unfortunately, too many communities lack the security necessary to make parents feel okay about letting their young ones explore freely. What can you do to create a safe zone for your kids and others within your neighborhood? Much of the suspicion a person feels about their community is tied to what is known and unknown about those living amongst them. They could be among the bad apples, or they could be a positive influence on the youth in the area. You’ll never know unless you reach out to them, make small talk, get a sense of how their kids behave … anything that can clue you in to whether or not they are a positive or negative influence. Even a novice DIYer can attest to the fact that each project they take on involves more planning than they initially thought they’d have to invest. The result is multiple trips to the local big box store to pick up unexpectedly needed supplies. Similarly, with every home improvement project comes a lot of waste, perhaps more than was anticipated. At some point, you’ve got to move it out of your way and dispose of it in an efficient manner. Fortunately, a dumpster can help your home improvements. Most trash collection agencies are not going to pick up your home improvement debris. Sure, you might be able to sneak a few bags full of it by them (not recommended), but the average project is going to take much, much more than a few trash bags full of waste. In fact, even a small room remodel can generate hundreds of pounds of material that needs to be disposed of, especially if any demolition is involved. 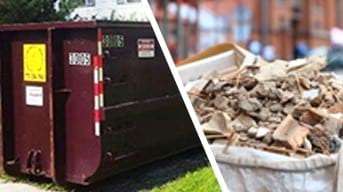 In most cases, a dumpster is the absolute best option for a number of reasons, the first being convenience. Bag vs. Dumpster: Which one is Better for your Small Project? 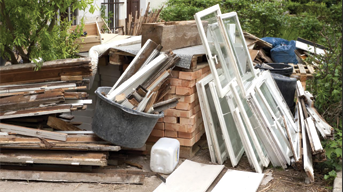 Just about any remodeling project or room cleanup is going to leave you with piles and piles of refuse. In fact, the amount will probably surprise you. For instance, if you’re tackling small bathroom remodel, you could see 150 pounds or more of refuse for every square foot that you demolish. So, when it comes to disposing of the debris, it becomes a bag vs. dumpster issue. Most people are familiar with dumpsters, and less so with bags. As you might have guessed, “dumpster bag” is a term derived from dumpster due to its shape and purpose, except it’s a bag instead of a metal container. It is a waste management item that is portable and small when collapsed. It’s made of a material that will withstand waste common with household projects. You fill it and call a waste management company to pick it up and dispose of it for you. However, pickup for these items aren’t available in all communities, so you want to make sure someone nearby has the capabilities of hauling it off before you make a purchase. Buy a bag or rent a small dumpster? An important note here is that a bag is only an option if you have three cubic yards or less of debris. It is roughly a 600-gallon receptacle, about eight feet long and four feet wide. Most are about 2.5 feet high. The weight limitation is around 3,300 pounds, maximum, which is debris from an approximately 22-square-foot room. 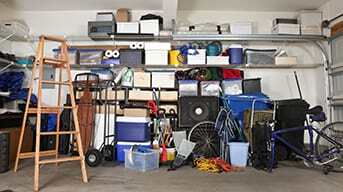 It’s amazing how much junk can pile up in a garage, especially ones that don’t house an automobile. Broken ladders, old garden hoses, old paint cans, unused tools, empty flower pots, motor oil, forgotten toys, old newspapers and magazines – the list goes on and on. There comes a time when a massive purge is needed. 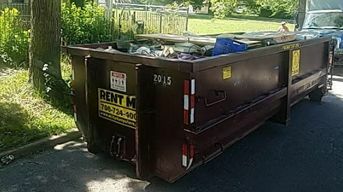 Is a dumpster rental for a garage clean out a good idea? Considering that you probably have a limit to how much trash you can put at the curb, tasking your trash company with removing all your garage waste is not a plausible solution. Your best bet is to go with a residential dumpster rental. There isn’t much to it on your end, you just call the waste management company and order it, they drop off dumpster, you fill it up with your garage waste, and the junk removal company carries it off. So, what size dumpster should you rent? This is a very important question because you don’t want to go too small and have to pay to have it carried off two or three times, and you don’t want to go too big and risk losing money. Most dumpster rental companies have dumpster that will hold between six cubic yards and 30 cubic yards of waste. Those numbers don’t mean much to most people, so let’s break it down by roll off size.